In service to the higher cause of disseminating truth about Amelia Earhart’s tragic disappearance and our government’s continued refusal to admit or reveal it, and at the risk of giving away the store, today’s post is basically an extract of a subsection of Chapter XIV, “The Care and Nurture of a Sacred Cow,” in Amelia Earhart: The Truth at Last. I’ve taken a few editorial liberties, made some additions and subtractions, but most of this subsection, “Carrol Harris, Admiral Joseph Wenger, and the Crane Files,” is presented below. Since I’m quoting from my own work, I will not indent as I would with quoted material from others. In a 1982 letter to Goerner, Harris said the office that housed the Earhart files was the “Secret and Confidential Mail and File Room—OP 020.” A year later Harris wrote to Vice Admiral Kent J. Carroll, head of the Military Sealift Command, providing extensive details of OP 020 in the misplaced hope that Carroll, who was friendly with Goerner, would help locate the missing Earhart records. In mid-1944, Harris said he was ordered to microfilm the secret files in Room 2055. Once the job was completed, he told Goerner that a “copy went to the Naval Historian at Annapolis, Maryland, one copy went to the Naval Ammunition Depot at Crane City [sic], Indiana and we retained one.” The original records, Harris said, “were packed loosely so that upon arrival at National Archives they could be placed in a chamber for fumigation . . . prepatory [sic] to refilming on 35mm. The Earhart material was among these records.” This aspect of Harris’ account is troubling. Why would the classified Earhart files be sent to a Navy historian and the National Archives, when neither is known for housing such sensitive documents? Goerner’s files provide no answers about why such volatile secrets would be sent to those locations. Naval Support Activity Crane is located approximately 25 miles southwest of Bloomington, Ind. 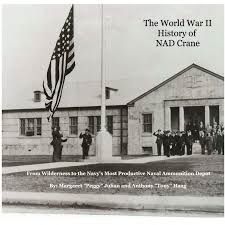 NSA Crane was originally established in 1941 under the Bureau of Ordnance as the Naval Ammunition Depot (NAD) for the production, testing and storage of military weaponry. The Naval Security Group Detachment was established at Crane in 1953 and disestablished in 1997, moving to the Commander Naval Security Group Headquarters at Fort George G. Meade, Md. Despite the best efforts of Fred Goerner and Jim Golden, the alleged Earhart files stored at Crane have never been found. Goerner focused on the Naval Ammunition Depot at Crane, where The Naval Security Group Detachment was established in 1953 and disestablished in 1997, moving to the Commander Naval Security Group Headquarters at Fort George G. Meade, Maryland. In my December 2008 e-mail correspondence with officials at Crane, now known as “Crane Division, Naval Surface Warfare Center,” they were unable or unwilling to shed any light on whether the facility was receiving classified material from other Navy agencies in 1945. “It took me more than three years to get the Navy to admit the records existed,” Goerner wrote to Jim Golden in 1988. “Through the Freedom of Information Office of the Chief of Naval Operations, Ms. Gwen Aiken in charge, I filed for access to the records.” After twenty-eight months of silence, Aiken finally told Goerner that many records had been sent to Crane and asked him to be patient while a “couple of officers” reviewed them. In other letters during the two-year period prior to his death in 1970, Wenger assured Goerner he was looking into the naval intelligence intercepts at Crane, and asking former cryptologists at the key communications intelligence radio stations about their recollections of the July 1937 period. 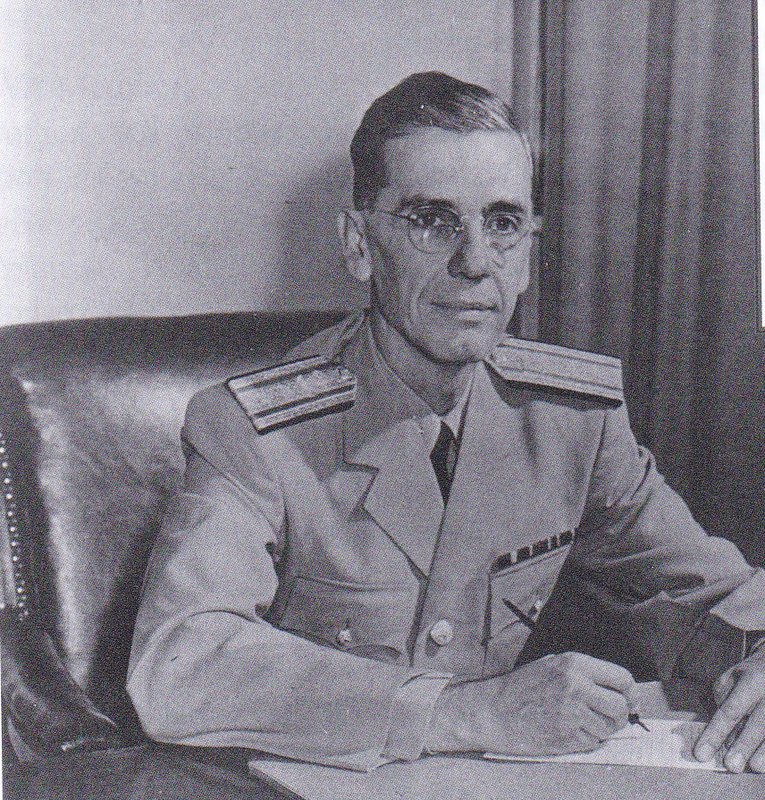 Rear Adm. Joseph N. Wenger, the first cryptologic flag officer of the Navy and head of what would become the Naval Security Group from 1944 to 1949. During Fred Goerner’s early 1960s Earhart investigations., Wenger led the KCBS newsman down the garden path, promising much and delivering nothing. Somewhere along the way, Goerner must have realized he had encountered another bureaucratic stone wall, despite Wenger’s apparent willingness to help. “It occurs to me that if the Earhart affair became a matter of Presidential classification and a responsibility of COMINCH [Commander-in-Chief, United States Fleet] Staff, all references to the subject may have been directed to one location,” Goerner wrote to Wenger in March 1969. Goerner was politely telling the admiral that he suspected any Earhart-related material found in the intelligence intercepts at Crane had been reclassified at the highest level and squirreled away long ago. In retrospect, it’s clear that Wenger was leading Goerner down the garden path and protecting the sacred cow, never with the slightest intention of helping the newsman. 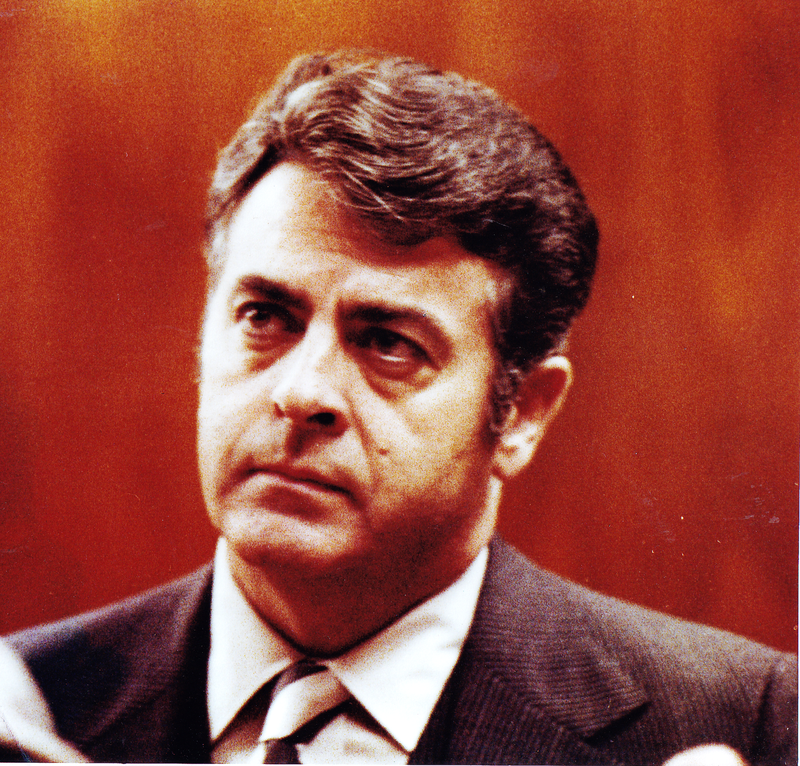 Fred Goerner’s “old friend,” Caspar Willard “Cap” Weinberger, secretary of defense under President Ronald Reagan from 1981 to 1987, was another highly placed government official who helped erect and maintain the stone wall of silence around the top-secret Earhart files and led Goerner on a fruitless goose chase, telling him that The Naval Security Group Detachment at Crane, Ind., held “some 14,000 reels of microfilm containing Navy and Marine Corps cryptological records, which, under National Security Regulations must be examined page-by-page,” strongly suggesting that the Earhart secrets might someday be found there. In a 1978 letter that eerily presaged Michael Muenich’s 1992 missive [to be featured in a future post], Fred Hooven explored the military and political dilemma that Navy intelligence intercepts of Japanese radio messages revealing their capture of the fliers would have presented our leaders in 1937. “Suppose that the Navy had been monitoring the Japanese communications and ship movements in the Pacific sufficiently to have learned, or at least to have gotten a pretty good idea, that the Japanese had abducted Earhart and Noonan,” Hooven wrote. What could they have done? They could not have taken action short of a military intervention to recover the fliers, and they could not have announced the fact (even if they were certain of it) without revealing the extent of their coverage of Japanese communications and operations, and their source of knowledge. It would also have raised an enormous storm of protest and indignation as well as being a national humiliation that we could ill afford, if we did not take bold action to recover the fliers. It could also be that we were pretty sure, but not sure enough to raise an international incident about it. This would explain all the secrecy, the strident insistence that the messages received from the plane were all hoaxes, and the equally strident insistence that the plane had fallen into the sea. It would explain the tampering with the log to say “one-half hour of fuel left,” the male-chauvinistic references to Earhart sounding hysterical, ” etc. Since no such policy could have been decided without White House consultation, it would even explain the White House type interest in the situation. Caspar Weinberger may have believed he was being honest with Goerner, but his statement that the secrets of the Earhart disappearance were being stored among thousands of microfilm records of cryptological intelligence radio intercepts seems far-fetched. Then again, Weinberger might have expected Goerner to recognize his letter as a pro forma evasion. The defense secretary probably knew nothing about the Earhart case before Goerner told him about the alleged records at Crane, but Weinberger was soon informed about the special nature of the Earhart files. Goerner, of course, had no clearance to view the material even if something were found at Crane.